Two x 1 bed flats @ 40 & 43 m2. One x 2 bed flat @ 60 m2 Six x 2 bed houses 74 – 82 m2. One x 3 bed house @ 81 m2. Two retail units @ 33 & 47 m2. Town Centre Location - 0.4 miles to Warminster Station. Located on the High Street (B3414) near to the junction with Weymouth Street and almost opposite North Row. The historic St. Lawrence Chapel is adjacent to the site. The nearest station is Warminster 0.4 miles (0.6 kms) managed by Great Western Railway. GWR operates a generally hourly service to Bristol Temple Meads, Cardiff Central, Southampton, Portsmouth and rail connections to the National Network. Warminster town is located in Western Wiltshire and has a population of approximately 17,000. The High Street has branches of Boots, Barclays Bank, Lloyds TSB and supermarkets to include Waitrose and Morrisons which is to the rear of 3 High Street. Description: The existing building is Grade II listed and within the Warminster conservation area and was originally constructed in 1731 as a timber framed private house by Edward Cockey (1669-1768) a respected clockmaker. Over the years the building has undergone several changes to its fabric. Now in very poor condition it is in need of extensive refurbishment to bring it back into use. The overall site area is 0.08 hectares (800 m2). Prospective purchasers are advised to conduct their own measured site survey to ascertain the precise site size. 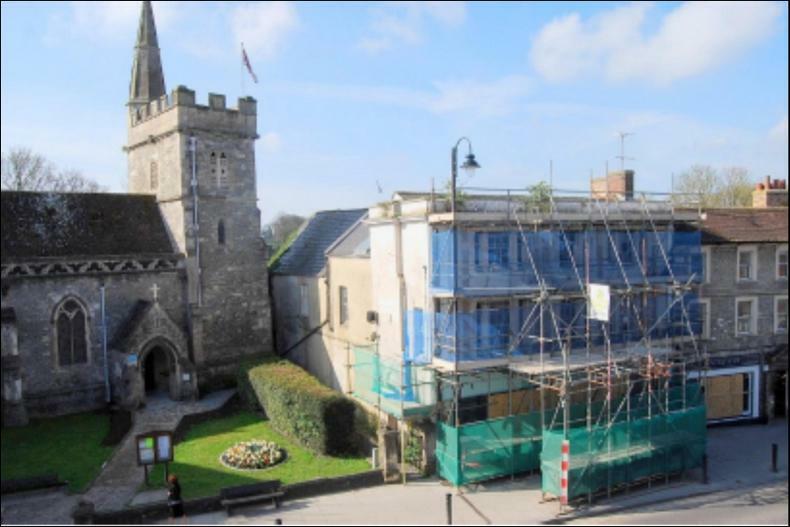 Planning: Planning permission was granted by Wiltshire Council on the 29th of October 2017 for the refurbishment of the existing building to create two retail units on the ground floor with two x one bedroom flats and one x two bedroom flat on the upper floors. To the rear of the existing premises the new build development will comprise of seven townhouses, six being two bedroom and the seventh a three bedroom house. 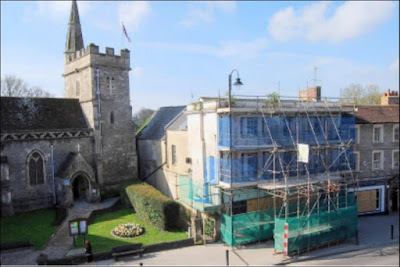 S106 (unilateral undertaking): an agreement has been completed and signed that binds the developer to secure and complete all the necessary repair works to bring the Grade II listed building at No. 3 High Street into a functional use prior to the occupation of any of the approved dwellings. A sale or JOINT VENTURE will be considered. £21,500 to be paid by the incoming developer. VAT will be levied on the purchase (the amount payable is subject to verification by the council). The front of the building can be viewed from the High Street. Access to the rear of the site is via the gate to the side of number 3. However, please do not disturb or encroach on the land surrounding Curfew Cottage. Email thehouseshop for further details and all enquiries.